The trend toward e-Christmas cards makes me sad. I love sending and receiving real cards, and this year I’m making mine using minted. 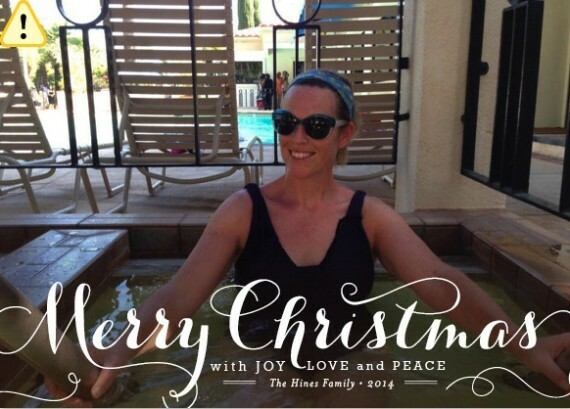 I’ve sent actual physical Christmas cards to friends and family since…maybe since I graduated from college? Certainly long before my children were born. It’s way more fun now that I have them as photo shoot accessories, though. 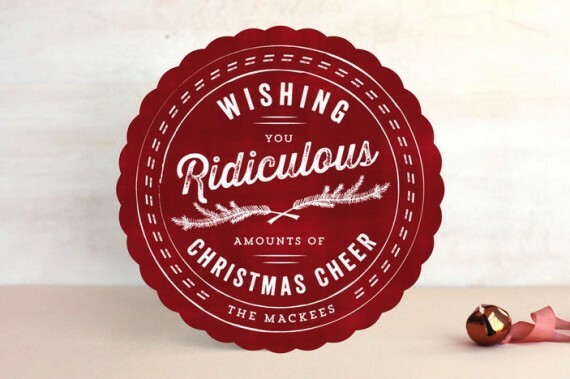 I’ve never been tempted to switch to e-Christmas cards, which is certainly easier, cheaper, and faster. But there is something about the ritual of creating the perfect card, addressing the envelope, and checking off the list that helps usher in the holiday season. Ever since my first son was born 9 years ago, Christmas has been much more fun in general, starting with holiday photo cards. I have a friend who used to keep a special album of holiday photo cards she received from people. She said it was neat to flip through it and watch the children multiply and grow through holiday greetings over the years. 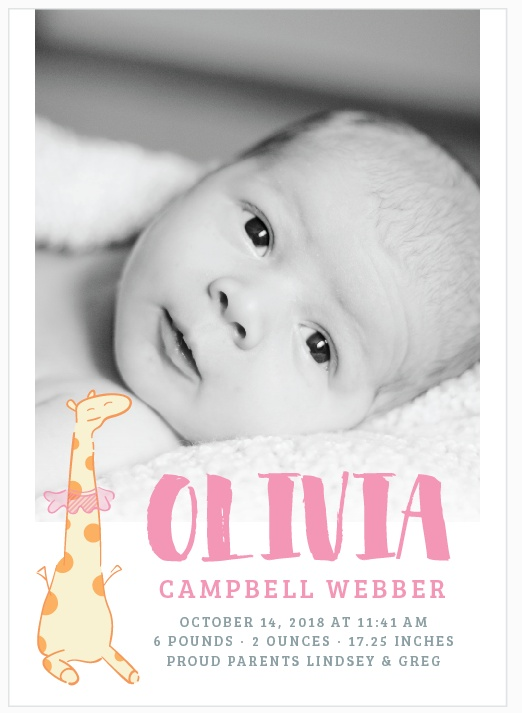 Now that I’ve been doing photo cards for 9 years, I can do that with just my own little family. 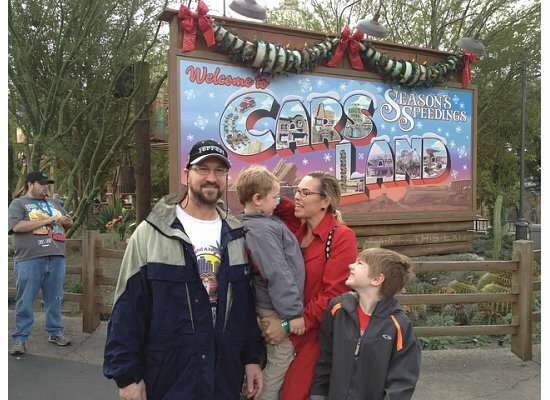 One year I sent out a card with several pictures taken throughout the year on the front with the requisite “Happy Holidays” greeting, and on the back, in a small thumbnail photo spot, I included an outtake from one of the “Kodak moments.” We were at Disneyland and the kids were fidgeting and it was kind of rainy – it was a miracle they posed at all that day. But the shot was hilarious, and a lot people who received that card that year commented that that was the part they loved the most about it. “The magic is in the outtakes,” the caption read. So this year, why not try a reversal? What if I do a holiday card photo shoot and on the card itself, just include the outtakes on the front? And maybe the “real” photo on the back? 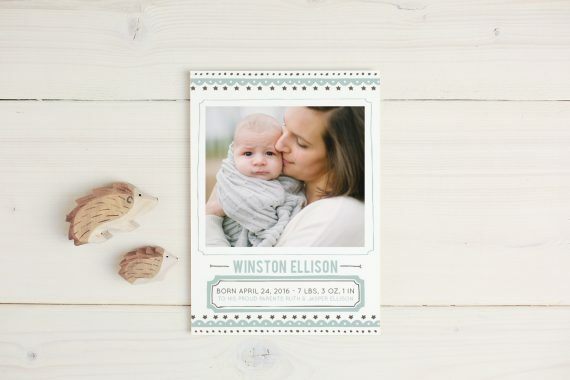 Minted has a lot of lovely designs that will help me make this happen, and a handy filter that lets me sort by number of photos (lately I have favored one big photo with writing along the bottom but that won’t work for an outtake spread), color palette, shape, size, type of paper, etc. 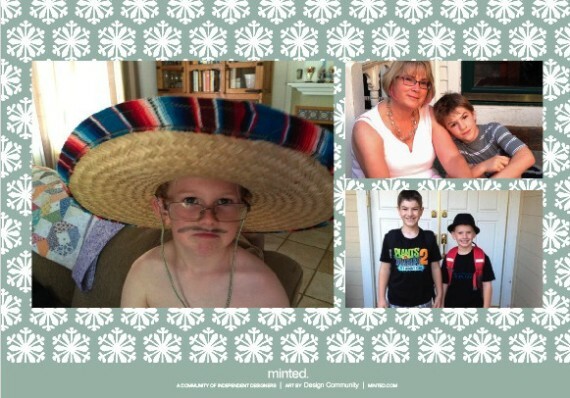 Like other online photo card design tools, minted lets you play around with the different templates. Minted’s tool is easy to use and if my computer is not too tired it refreshes quickly. Relax. This is just a test. In fact, that is what I am doing in this photo. Relaxing. Printed photo cards have really come a long way. They don’t have to look cheap or cheesy. 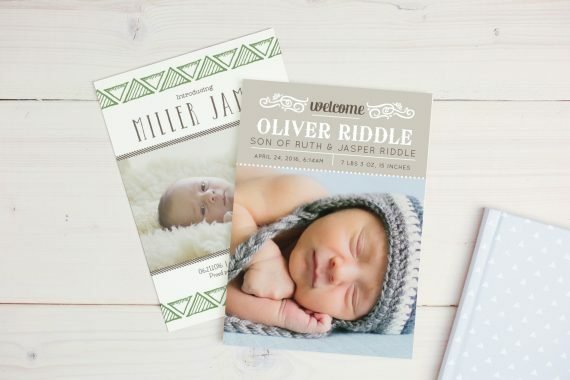 Minted prints everything on high quality paper, and you can even choose a small photo book with little stories about your family from the whole year. Stay tuned to see what we picked. I say “we” to be inclusive but let’s be honest. Mama does all the work here. 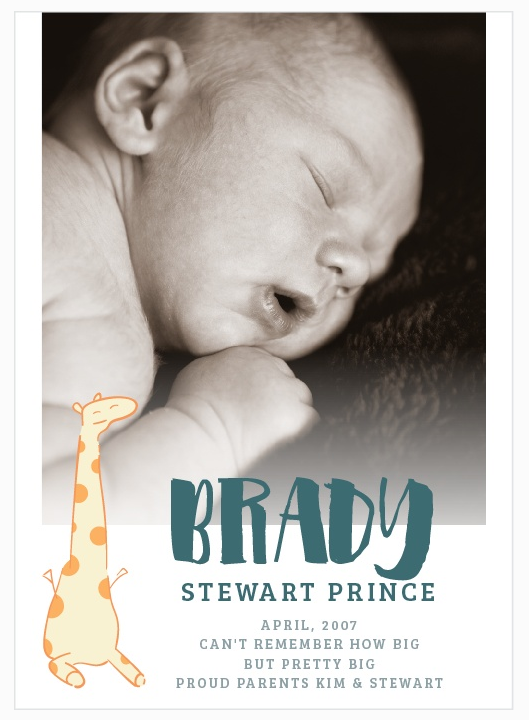 I received credit at minted to facilitate this two-part feature.